Soo, the pumpkin baking has officially started! And these gems should not be missed! 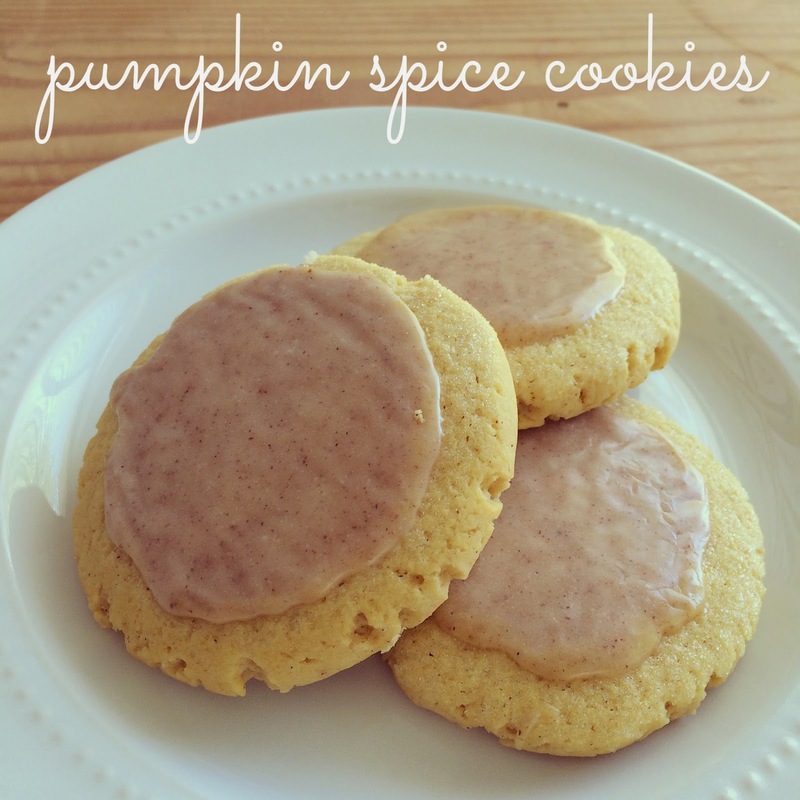 Well, here is a pumpkin spice version... and they are absolutely amazing! 1. In a large bowl mix together the butter, oil, pumpkin, sugars, vanilla and eggs, until incorporated and smooth. Slowly mix in all the dry ingredients. 2. Roll the dough into balls and place on a lined cookie sheet. 3. 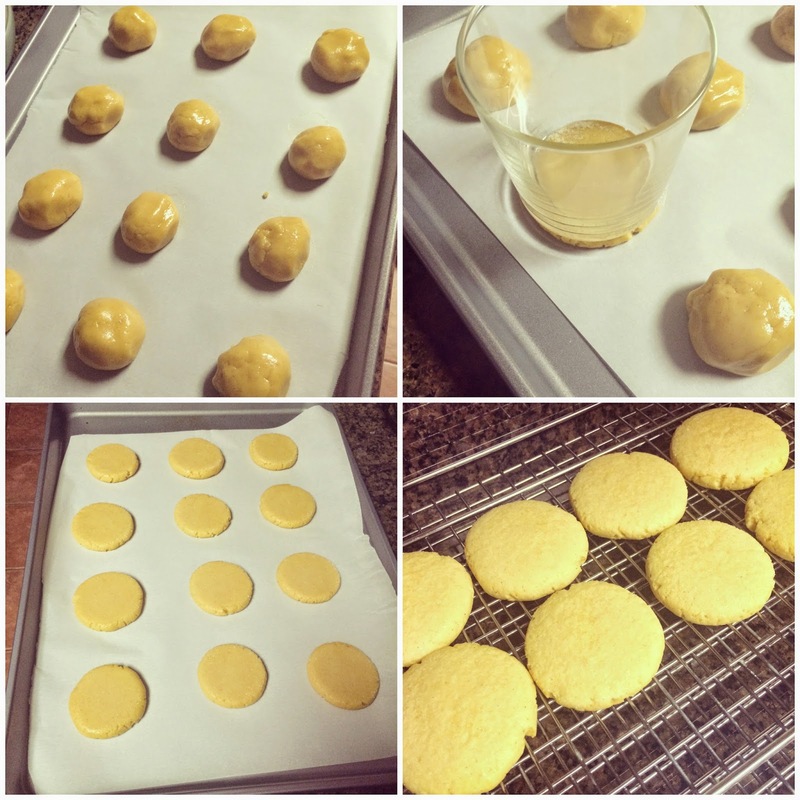 Dip the bottom of a glass in a bowl of sugar, and flatten the cookies to your desired thickness. 4. Bake for 9ish minutes at 350 degrees. Once the cookies are fully cooled, top with a pumpkin spice glaze. Mix together all of the ingredients, top the cookies with the frosting, and let the frosting set before serving. Have you started your pumpkin baking yet?! Mmmm! Looks delicious! Thanks for sharing this recipe! Yum! Your icing on the cookies looks so perfect! My mouth is watering now. Those cookies look amazing! I seriously never thought about smashing the cookies down with a cup.... what a genius idea! annnnnd drooling...these are so pretty as well!!! Yum!! Should I send you my address for a batch of these?! These look amazing! Those look sooooo amazing!!!! Who doesn't love a good Lofthouse?! I posted pumpkin cookies today too! Twins! mmm, sounds delicious! I have some pumpkin spice muffins in the oven as I type! I'm going to have to try these this weekend! Yum! I broke out the pumpkin chocolate chip cookie recipe last weekend, but I've never tried anything like these before. They are going to have to be next! Those look amazing! You always make the best stuff, Lisa! Holy perfect cookies - how do you get them all the same size!? These look fantastic. Lisa, those look beyond amazing! I need to make some now! Yum! Yum! Such a fantastic fall treat! And I agree with Pamela, your food always looks so delicious! Between you & Nina, my diet might as well be over! Uhg...I desperately need cookies in my life! Oh mercy... those look so good!!!! oohh wow!! Definitely making these! These look amazing! I need to make these asap. Pinning! Yum, yum, yum, and more yum. I need one of these right. this. minute. 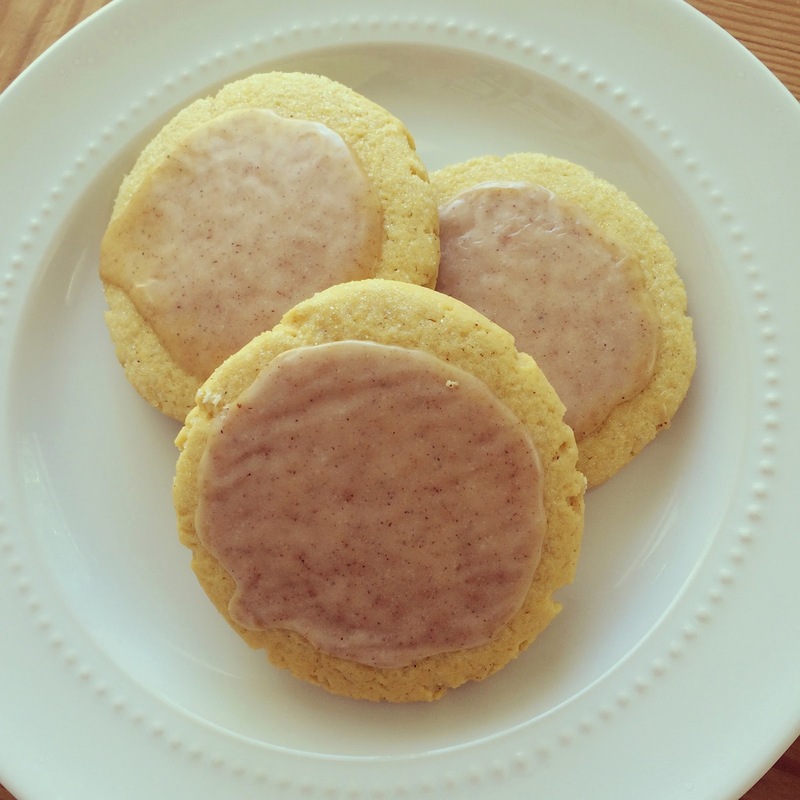 I have pumpkin cookies on my list for this week! They are SO good! A Fall Potpourri Simmer Pot!